South Korea charged nine people and two companies with illegally selling Samsung’s bendable screen technology to a Chinese rival. The chief executive officer of a Samsung supplier and eight of his employees received 15.5 billion won ($13.8m) after conspiring with two representatives of the Chinese company to transfer organic light-emitting diode knowhow, according to a statement from prosecutors in Suwon. The names of the companies and individuals weren’t disclosed. Intellectual property theft is a national concern for South Korea as it tries to maintain its narrowing technology lead over China. The mainland is pouring billions into becoming self-sustaining in areas such as memory chips and displays, two fields where Samsung is the world leader. 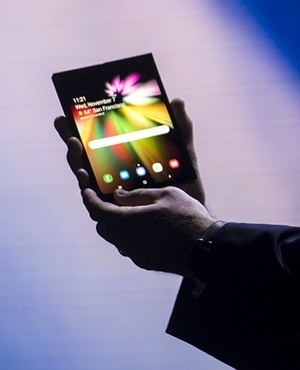 Curved-edge OLED screens have become a signature feature of the Suwon-based company’s high-end Galaxy smartphones, including the Note 9. The US is also concerned about what it considers a state-backed campaign of technology theft by China. Earlier this year a former Apple engineer was arrested in the US on charges of stealing driverless car secrets. Earlier this month Fujian Jinhua Integrated Circuit and Taiwan’s United Microelectronics were indicted on charges they conspired to steal trade secrets form Micron Technology.